Delight your friends and family with a tropical oasis right in your own back yard! 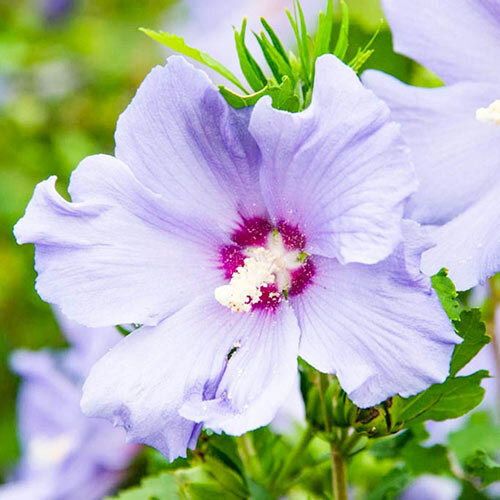 It's easy to get that island flair with this new hibiscus variety. Hawaii is famous for its large, saucer-shaped blooms that grow to nearly 5" across! 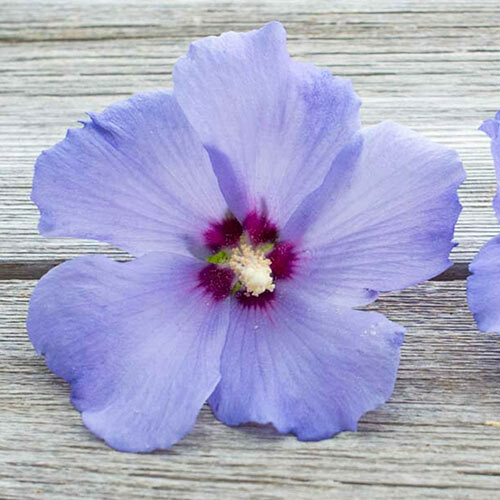 Supple, overlapping petals of blue contrast nicely with the flower's red-purple throat. Growing 5-8' tall, Hawaii makes an unparalleled focal point display, fine border addition or, when planted in a grouping of three or more, an eye-catching flowering privacy screen. Butterflies and other pollinators love the bold color and open flower form. You'll love the exotic beauty it brings to the midsummer landscape. Plus, it is drought tolerant. Soil RequirementsWell-drained soil. Very tolerant of a wide range of soils.